With a new year comes new festival lineups, and of the earliest this year is one of New York’s premier festivals. Early this morning, Governor’s Ball finally announced its official 2018 roster, with all of the artists that will be gracing the event come June. 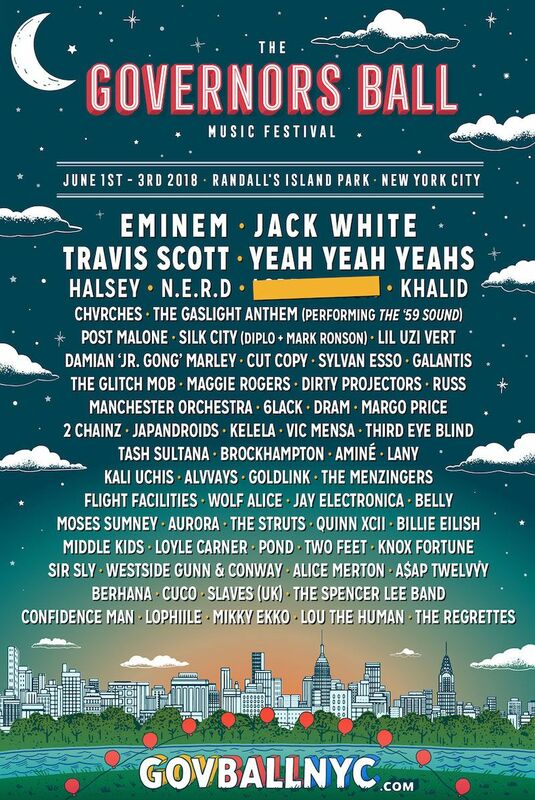 As always, the performances will be held at the scenic Randall’s Island Park, including some of the city’s biggest comeback shows ever, along with some breakout acts that you should not miss. Some of those comebacks come in the form of the legendary rapper Eminem, and acclaimed hip hop and rock duo N*E*R*D, who will be performing in NYC for the first time since 2010. 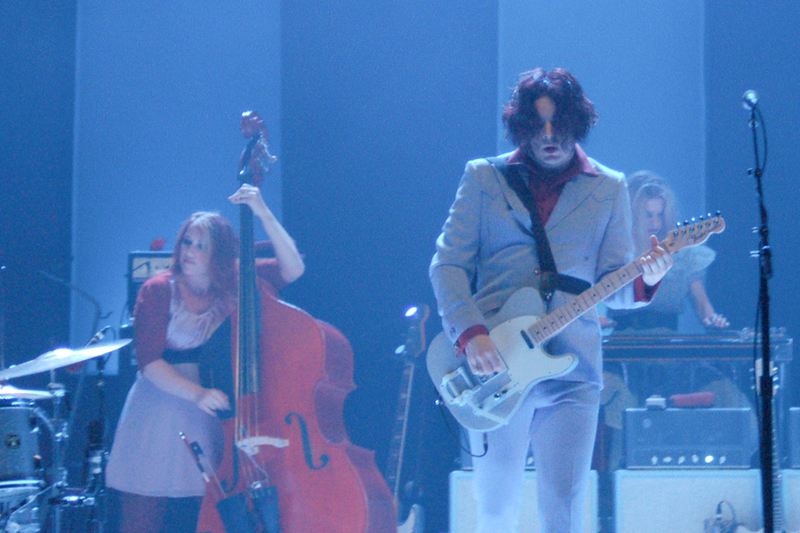 But those comebacks aren’t exclusively in the realm of hip hop, as this year’s Governor’s Ball marks the first major solo performance for Jack White since he wrapped touring in support of his 2014 album, Lazaretto. Though he has yet to announce any information about it, the Detroit rocker has reportedly been working on a new album. Another sort-of-reunion comes from quintessential New York rock band, Yeah Yeah Yeahs, for which Governor’s Ball is looking to be part of their touring reunion, that was kicked off by a concert back in October that celebrated the 15th anniversary of Fever to Tell. Governor’s Ball started off in 2011 as a one day festival, but grew exponentially until it became New York’s defining festival in a few short years. Buy tickets for the 2018 event here. Find the festival flyer and the full lineup below. UPDATE: Just to clarify so that there is no confusion, the Belly listed in this lineup is the Palestinian-Canadian hip hop artist, not the Tanya Donelly-fronted alt rock band from the ’90s.